As I expand my business model, reaching out to my mobile users is hugely important. While some CEO’s might hire an expensive consultant or purchase expensive software, this CEO is old school. 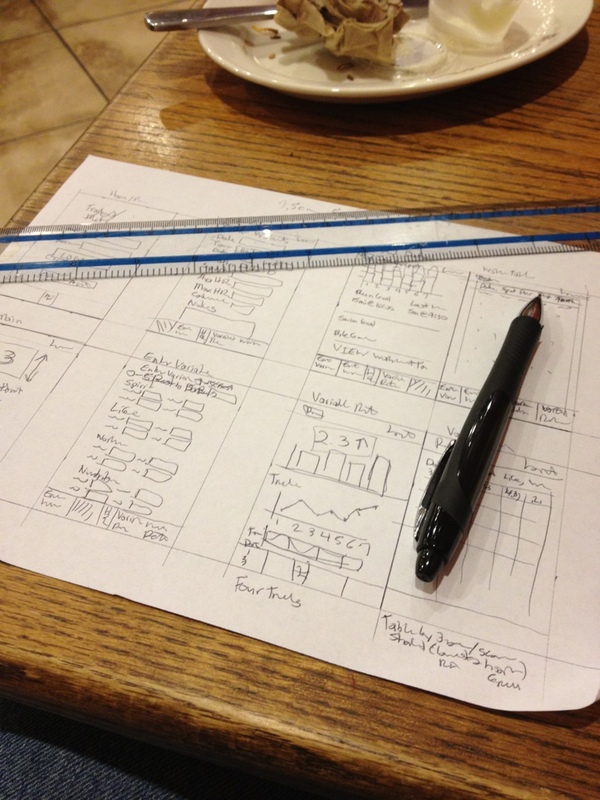 Using pen, paper and ruler I sketched out an 8-page iPhone app for my online fitness log. While I am sure a lot of our world focuses on technology to make life more efficient, it’s the pieces that start on the napkin that are most intriguing. To capture something from the mind and turn it into a real thing is a process that takes time and a team of talented people. But it’s the old school tech that really makes it happen. I wonder how many of my iPhone users realize that what they are using today got a low tech start?